Wakin Chau (born 22 December 1960) is a Hong Kong-born Taiwanese singer and actor. Chau’s popularity has spread throughout Taiwan, Hong Kong, Mainland China, and parts of Southeast Asia. 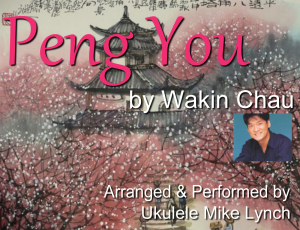 He was known as Emil Chau through the 1980s and 1990s, and by 2000 he reverted to his given name Wakin. As of August 2007, he has released more than 40 albums and held several international concert tours.